Welcome to the 6th annual baldorf Charitable Foundation March Madness Challenge! 60% of all entry fees go directly to the baldorf Charitable Foundation, helping MRP improve communities through education, healthy lifestyles and community service. 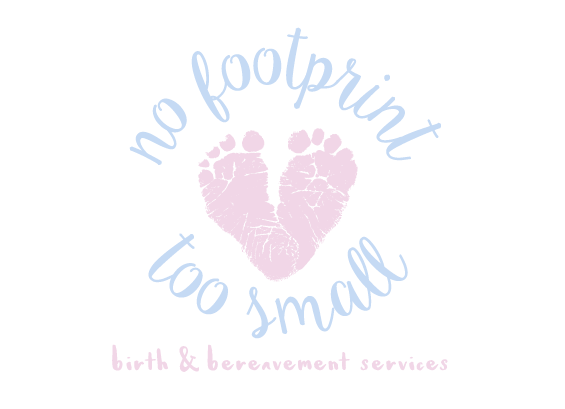 This year MRP is supporting No Footprint Too Small, a Lincoln-based organization whose mission is to provide comprehensive perinatal support to mothers, fathers, and families who are affected by pregnancy or infant loss. 20% of funds raised will be donated to No Footprint Too Small. Don’t want to create an ESPN account? Download and print your bracket HERE. Note: you do not have to use our official bracket – if you’ve already completed a bracket somewhere else feel free to send it in. Fill out your bracket, including your name, contact info, the entire bracket and tiebreaker points. Email confirmation will be sent upon bracket receipt. Multiple entries per participant are accepted (and encouraged!). Don’t have time? No problem! Enter the Challenge and we’ll fill out your bracket for you. Request a completed bracket here. Support MRP by forwarding this Challenge to any friends that you think may be interested. All brackets must be submitted before the ‘Round of 64’ starts on Thursday March 21st. Cash Distribution = 40% of entry fees (remaining 60% goes directly to the Foundation, with 20% of that to No Footprint Too Small). Your entry fee is a donation to the baldorf Charitable Foundation. Donations are $15 for one bracket and $10 for each additional bracket. Please submit donations for ALL bracket entries at once. Online donations are preferred, and can be made by clicking here. Cash and check donations are also accepted. Donations DO NOT have to be received before the games begin, but please send them in as soon as possible. All donations must be received before the Sweet Sixteen begins on March 28th. A confirmation email will be sent when your donation is received. Donation receipt will be indicated on the updates emailed to all participants at the end of each round. There are four 1st round games that will be played on Tuesday and Wednesday (March 19 and 20). 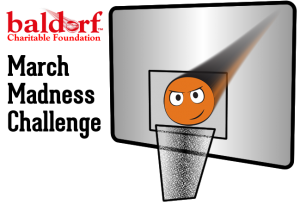 To give you more time to complete your brackets, the first round is essentially ignored – it does not matter who you pick to win the first round. Thank you for your continued support of the baldorf Charitable Foundation and good luck! *Mystic Rhoads Productions is a registered 501(c)(3) non-profit organization. All donations are tax deductible. Your donation supports MRP programs and No Footprint Too Small.